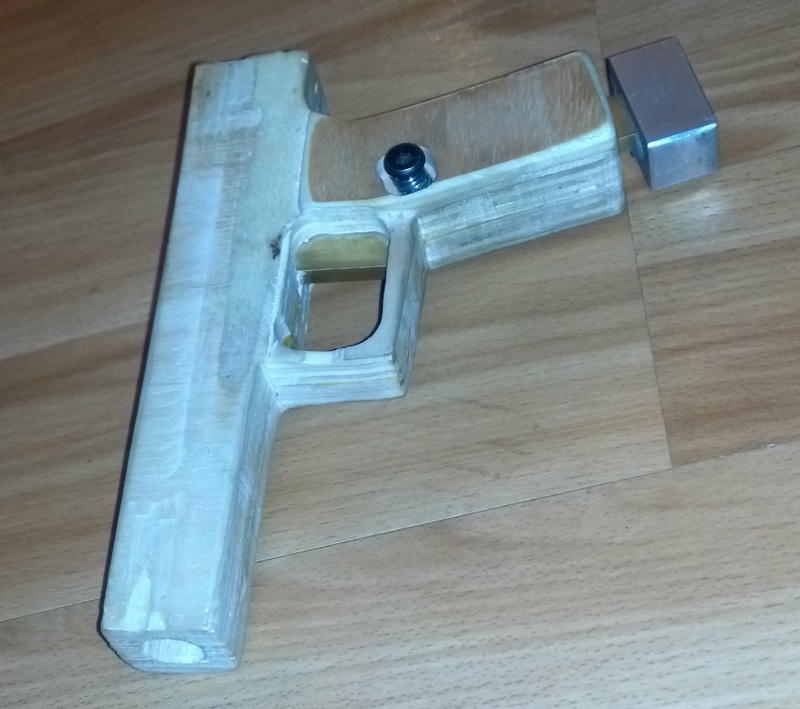 We recently created this rough prototype toy gun with a removable clip. 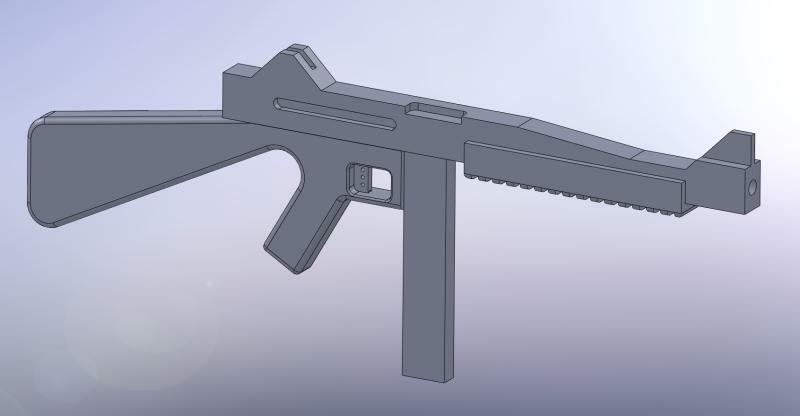 It’s modeled somewhat after a Glock, but only roughly. The kids love it.